I spent a week watching and learning about corruption in sports. Dirty Games is excellent and is on Amazon Prime. It lead to further study on the situation in Qatar. Despite whitewashing, it appears migrant workers there are still enslaved. May-31, the 5th anniversary of the Gezi uprising in Turkey is only a few days away. Get informed, get inspired. While you're watching the 2018 World Cup, don't forget that human trafficking through football (soccer) is still happening, and FIFA has not helped at all. I also wrote a lengthy post on FIFA football agents. During WC 2018, you might be able to catch either of these films Fox and ESPN. They are about the Nov-2016 plane crash that killed 71 people including most of the players and staff for the Brazilian team Chapacoenese. I've never been to the Roxie Theater in SF before, but note that the Roxie Jr theater only has around 50 quite old plush seats! Interesting experience! The creators posted episodes as they travelled and recently released the feature length documentary for streaming. Link is in the article. While researching this film, I learned a little about the 1978 North Korean approach to improving its film industry - kidnap a couple people. Now on netflix. Hope you enjoy! I have seen 2 of about 6 forty minute episodes of First Team Juventus a 2017 documentary about that team available on Netflix. Narrated in English but with English subtitles for Italian comments made in it by the players and coaches. etc. The viewer gets a very good picture of the pressure that is ever-present for these high-level players. Juventus (from the city of Turin, Italy) is 120 years old and the expectations from fans and the organization go beyond the league and into the Champion's League. My wife and I are both enjoying it. If you have Netflix you might look for it. Here’s another gay soccer / gay footballer drama. Tremendous acting, but a little too much bare chests and butts for my tastes. 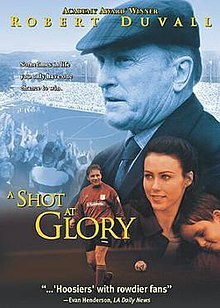 I wouldn't bother hunting down this 2006 feature length Hong Kong soccer movie. It's on DVD but it's bizarre. you can rent "Buscando a Marcos Ramírez" on vimeo. I don't know how long this offer will be good, but you can watch this film courtesy of the Kicking+Screening Soccer Film Fest. Good film for kids too. The docu “Die Mannschaft” is a nicely crafted love letter to Joachim Löw and the 2014 German National Team.